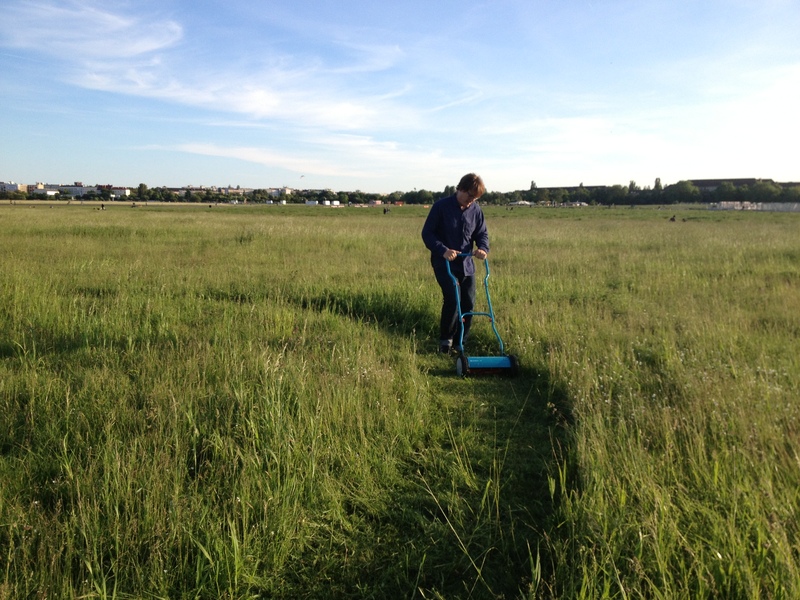 PLEASE JOIN US OUT IN THE TEMPELHOF FIELD THIS SATURDAY JUNE 8TH AT 7PM! Bring a push-mower if you can or just come hang out and be part of a temporary installation that allows for flexible programing. 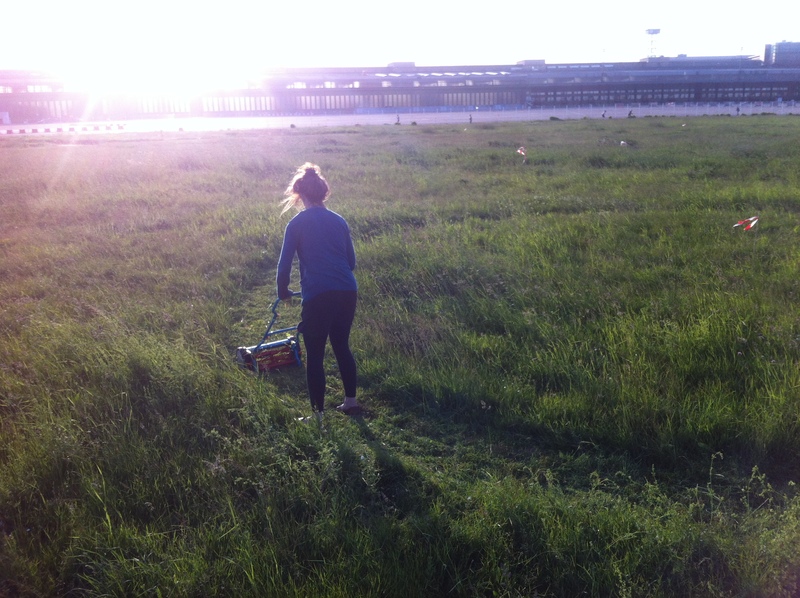 Mow a place for sports, picnicking, birdwatching or whatever activities you imagine for Tempelhof.